Of the snake in their nest. The Girl cleared her throat loudly, freezing Nick in his tracks. The words of his suppression spell died unspoken on his lips; flames continued their gentle dance across the glowing fireplace embers. 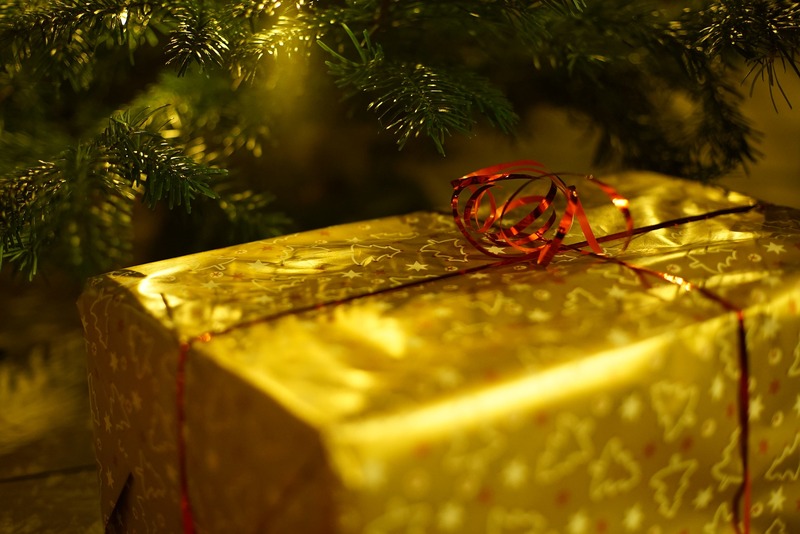 She held up a gift-wrapped box, sliced and peeled open to reveal its contents. Black lumps and a rain of midnight dust spilled into a pile on the plush carpet, glinting with rainbow colours reflected from the blinking lights on the fir tree in the corner. Nick considered this. No child he’d ever met could put a lie past him, and Gwendoline Cordoba, of 1440 Gennaro Drive, Caine Heights, was not lying to him now. “You seem very sure of yourself. All right, let me check my list.” He pulled out his tablet and ran a search on her name. Sure enough, her claimed accomplishments were listed, and more besides. She was helpful to her parents, conscientious with teachers and classmates, and scored in the top quintile on the Kindness Index. Nick’s sack contained a number of contingency presents for just such an occasion; he was about to set the tablet down and rummage for a substitute gift when he noticed the blinking alert at the bottom of Gwendoline’s file. The snarling goat-faced Krampus icon, reserved for the Naughtiest of children. He clicked on the link, and gasped. He said, “Oh,” and “Hmmm,” and made various other noises to cover his shock. He looked over his unnecessary spectacles at the little girl waiting expectantly for his verdict. She was short for eight years, with lightly tanned skin and swept-up ears pinning back her dark braids. She looked angelic and perfectly normal. Nick tapped out a quick message to Penelope, his security chief, a pixie with fourteen years of SEAL training and covert ops experience. The recovery team would be mobile within the hour, hunting for whichever sparkling candyland, endless masquerade or pirate-riddled magic island to which the original Gwendoline Cordoba had been dragged away. With any luck she could be restored to her own bed before her unsuspecting parents awoke to an unpleasant Christmas morning surprise. “I’m afraid you can’t stay here, child,” said Nick. “Why not?” The Girl crossed her arms again and looked very prepared to pout as well. Season’s greetings, one and all. I probably should have written this story for last week, but to be honest the week leading up to the holiday break was frantic, not festive. It’s all calmed down a bit now, but the break is short and the new year looms. I won’t get a long rest, but I will get enough time to clear the worst of the weeds from my garden, and in some years that’s as much as you can ask for. Wherever you’re reading from (and hello to the mysterious readers in Malaysia, Korea and Poland who visited the website this week…) I hope you’ve had a wonderful end of year, however you may happen to celebrate. If you care to join me again in 2018, I’ll still be right here with a new story every Friday morning. And with any luck, I may have something new for you before long. Sayonara 2017. Can’t say I’ll be sad to see the back of you! This entry was posted in Friday flash fiction and tagged fantasy, flash fiction, Friday flash, modern changeling, nestled in the gift wrapping, santa claus. Bookmark the permalink. Thanks Chris! Hope you’re having a great break. I look forward to catching up with you in the New Year.